Political strategist Pat Caddell explains that both the Republican and Democratic political establishments are scheming to deny the will of their voters, by foisting unwanted nominees upon them. Caddell tells Breitbart News Daily host Stephen K. Bannon that the Democrats’ turmoil is receiving less attention because the personality clashes are not as spectacular, the Democrat Party’s rules are more brutally effective at squelching insurgencies, and the media has little interest in writing stories about a Democrat civil war. If we weren’t having what we’re having on the Republican side, the story would be the revolt on the Democratic side, and Bernie Sanders rising, and the rigged system for delegates, and all of that stuff,” he said. “I believe there’s a good chance that when the Establishment puts its foot down in the Democratic party, as they do with super-delegates, and Bernie Sanders falls, they make sure he’s not the nominee… his voters, the young voters in his base, they don’t want Hillary either. 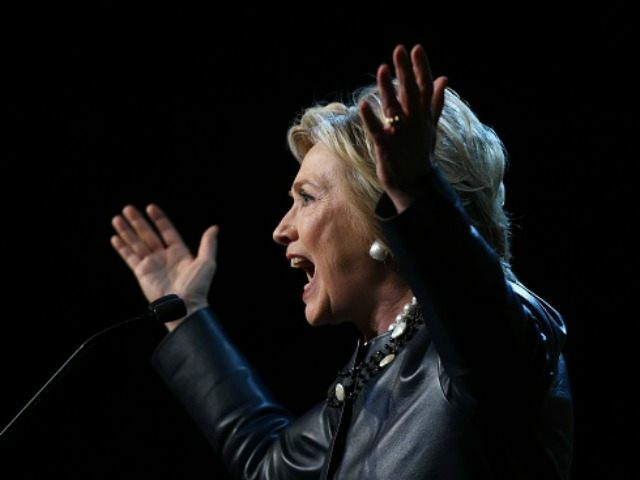 The media’s involvement in the Republican gladiatorial spectacle has allowed Hillary Clinton to skate through some disastrous weeks of campaign news, in Caddell’s estimation. If you think about the fact that Hillary Clinton, in the last couple of weeks, has, you know, threatened to get rid of all the coal miners, has said that nobody died in Libya, with her husband out saying the Obama legacy has failed, is a legacy of failure over the last eight years… and you have her in the trouble she’s in, the stuff that she’s saying about her servers and other things… they just give her a pass now. Caddell predicted the electorate will become enraged, and perhaps realign itself in some unprecedented ways, if both party establishments insist on running candidates who couldn’t win the support of voters in the primaries. “I’m telling you, there are going to be a lot of free-floating voters looking for something, and my greatest concern is that this is ‘The Empire Strikes Back.’ The country, from Left to Right… from 70 to 80 or more percent… look at Washington as the enemy, and they feel it’s a system that’s been rigged against them. And now the economics of trade is a voting issue, all that stuff. You deny these people, and this country… it’s not going to be pretty,” he warned.